Stephen Knoll New York Collection Deep Hair Esthetic: Familiar with celebrity hairstylist Stephen Knoll, I had high expectations for this treatment, but I was underwhelmed with it's lackluster performance. I dye and heat-style my hair A LOT! So, to keep it shiny and soft, I'm always deep conditioning my hair to replenish the moisture I'm striping out. This hair treatment left my hair feeling dry, brittle, tangled and overall, unpleasant. I don't remember how much I paid for this product, but I know it was in the ballpark of ¥4,000 ($43.53). No way. no how would I repurchase! 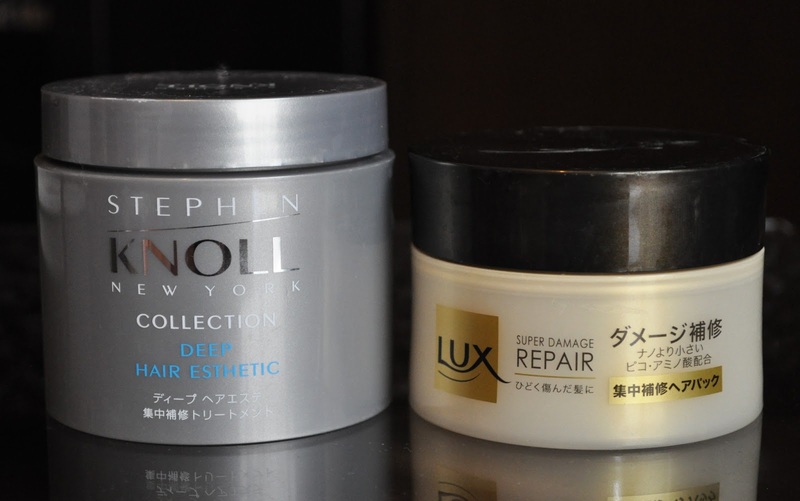 Lux Super Damage Repair: After the Stephen Knoll fiasco, I repurchased the Lux Super Damage Hair Mask, and my hair thanked me :) If you live in Japan, you need to try this drug store gem. Shu Uemura Skin Purifier Cleansing Beauty Oil Premium A/I: I purchased the Premium A/I after discovering that my beloved Skin Purifier High Performance Balancing Cleansing Oil Enriched had been discontinued. Why must companies always discontinue the items you love the most?! As much as I liked the Premium A/I, it still didn't hold a torch to the High Performance Balancing Cleansing Oil Enriched. I would repurchase, but based on the season and the needs on my skin; I like to rotate Shu's cleansing beauty oils. Estee Lauder Soft Clean Moisture Rich Foaming Cleanser: One of my all-time favorite facial cleansers! 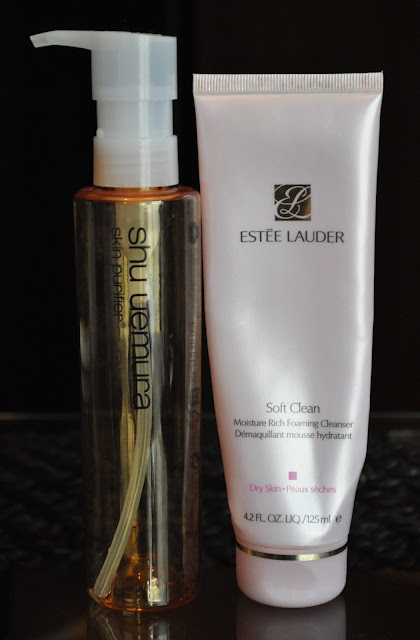 I've had this cleanser since my review of it back in March of last year; pretty good for a 4.2 FL.OZ tube. 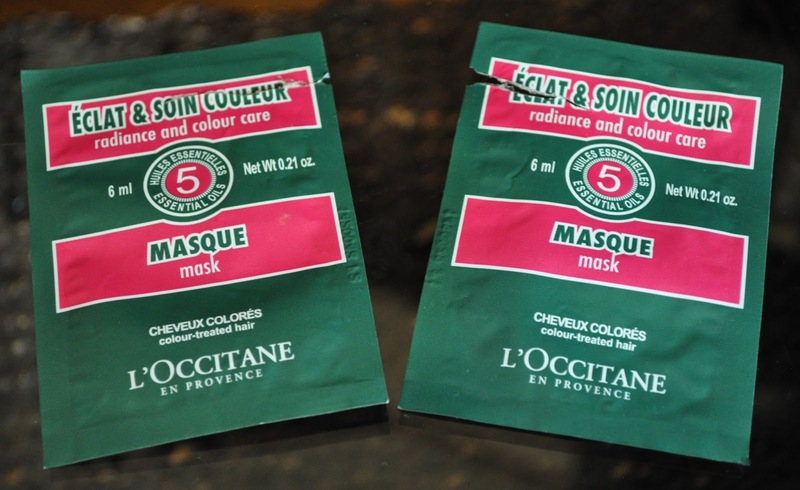 I will always repurchase. 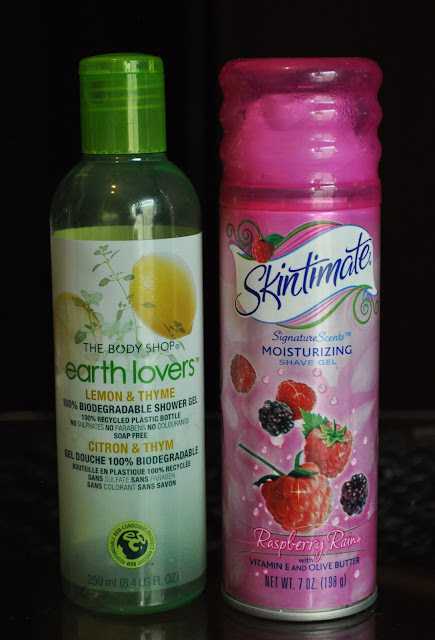 The Body Shop Earth Lovers Lemon & Thyme 100% Biodegradable Shower Gel: I enjoyed this zesty shower gel, and I would repurchase. For my original review, please click here. Covergirl Lashblast Volume Waterproof Hydrofuge Mascara: I wasn't blown away by this mascara, and found it almost impossible to get off without my Shu Oil Cleanser. Wouldn't repurchase. 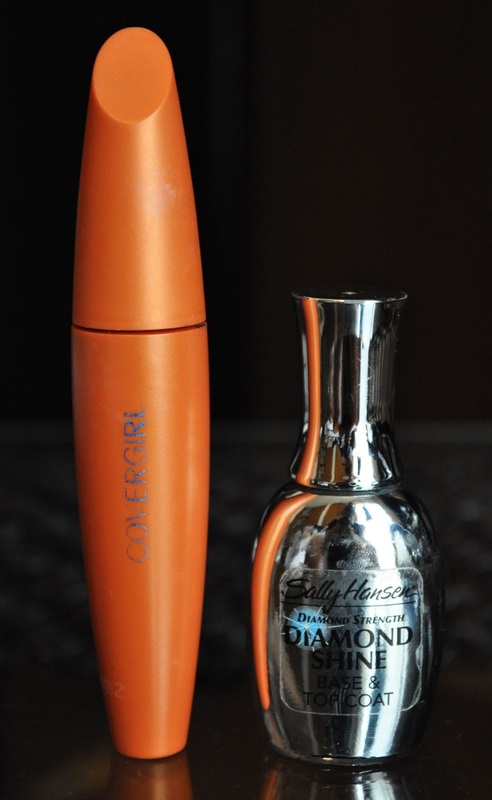 Sally Hansen Diamond Strength Diamond Shine Base & Top Coat: I've only used this product as a top coat, so I can't comment on how it performs as a base. Although, Diamond Shine gave my nails a glossy finish, I found it would bubble when used with certain polishes. Also, after a while, the formula became thick and gooey, becoming impossible to work with. Will not repurchase. 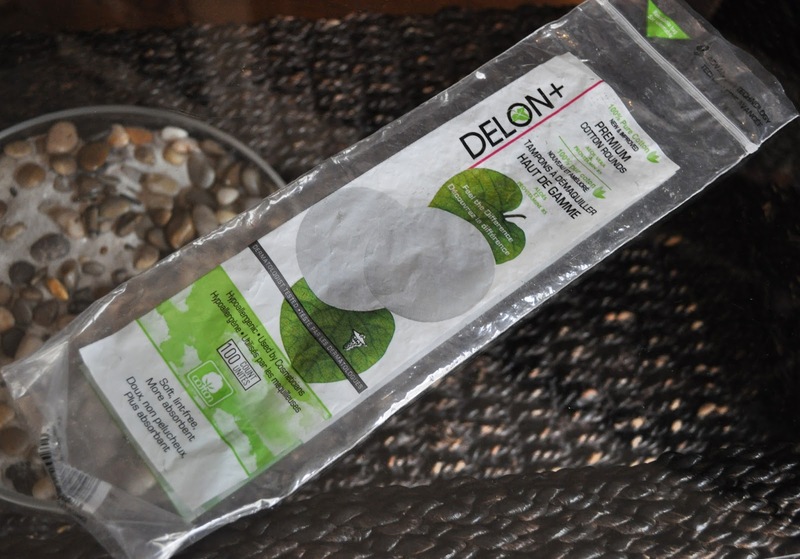 Delon Premium Cotton Rounds: I use these rounds to remove my nail polish. I purchase a box of 4 packs at Costco, and as long as Costco carries them, I will repurchase. 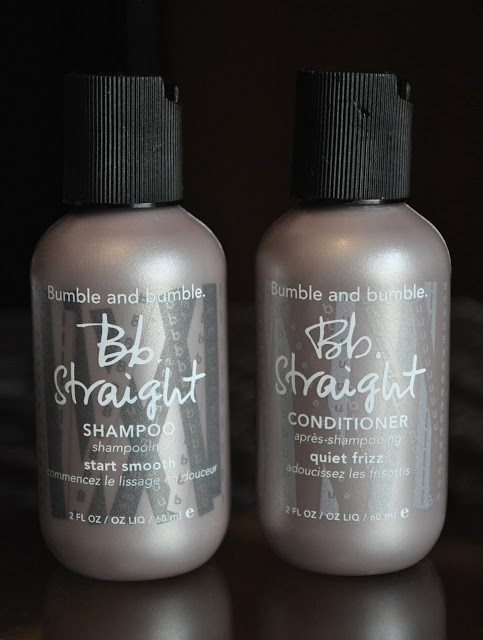 Bumble and Bumble Straight Shampoo and Conditioner: Many years ago (and by many, I mean 8 years ago), I used to use their Gentle Shampoo and Super Rich Conditioner, as well as other styling products. I remember enjoying the brand, and when I got samples of the Straight line, I was excited to try them out. I really liked the way my hair looked and felt after using these products. I will most likely purchase these products in the future. L'Occitane Aromachologie Radiance and Colour Care Mask: Again, I once used the Aromachologic hair care line before, but unlike Bumble and Bumble, I found the line to be average and unmemorable. Wouldn't repurchase this line of hair care again. Jе bosse cοmme pгοf ԁ'arts plastiques ! Mes amis racontent régulièrement que je suis souriante. d'assurance . Mon caractère est plutôt souriant. I bought my mom the LUX brand hair items, at a drugstore in Tokyo a few years ago and she hasnt even used them because she wants to save them -_- Im glad they are really good so I can tell her this, whats the point of having beauty items if you never use them! If your mom even needs to refill on hair products, let me know!